SDC, a leading manufacturer of premium grade access control hardware, is pleased to introduce the new failsafe 350 Narrow Line EmLock. An electromagnetic lock with 1200lb holding force, and ultra unobtrusive design that blends into high profile architecturally superior narrow frame openings. Plus, the 350 EmLock is a direct equivalent and retrofits the discontinued Locknetics magforce 350+ with identical mounting template, physical dimensions, appearance and features. Plus, no charge for standard features such as Magnetic Bond and Door Status, Interlocking Quick Mount Bracket for hands free installation using self drilling/tapping mounting screws. 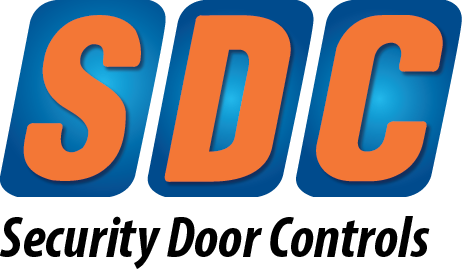 The SDC 350 is only 12-1/2” long, 1-11/16 deep, with very short 2-1/8 projection from the frame into the opening, compared to traditional magnetic locks that project 3” to 3-1/2” into the opening. The standard armature housing eliminates noise, sagging and adds to the overall superior appearance. Auto-sensing 12/24VDC input is standard.